One of the biggest scandals in American history unfolded back in 2012. This scandal involved two of the largest banks in the nation, Wells Fargo and Bank Of America. In short, many consumers and home owners were unknowingly signing loan terms with higher interest rates than their white counter parts. Believe it or not, these practices are still in heavy rotation with many other banks but they haven’t been caught yet. In this article, you will quickly learn how Wells Fargo and Bank Of America stole millions from minorities, mainly blacks and latinos, but more importantly, how to avoid being next! Get your notebooks ready. Wells Fargo & Bank Of America are just a couple of the largest mortgage lenders in the nation. This means that they lend money to many consumers who are in the process of buying a home and end up purchasing with the approval of the lender. Like any other loan, the bank makes a profit on the interest rate. Interest rates can vary based on numerous factors but the main factor is the credit score. Some lenders have many different interest rate loans and such but for now, I will keep things simple. 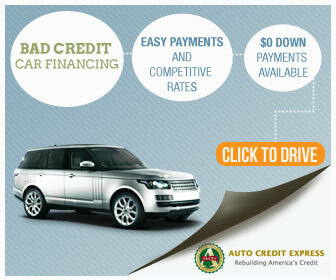 In short, you have “Prime” & “Sub-Prime.” Prime ranges mainly from 720 or higher credit scores. Some lenders do consider some Prime ranges around 680 or so. Sub-Prime is mostly any credit score under 620. Prime consumers normally get lower interest rates than Sub-Prime consumers who normally receive higher interest rates. Wells Fargo and Bank of America, not only gave Prime consumers Sub-Prime interest rates, but they also approved consumers who not normally get approved. In the movie, “The Big Short”, there is a scene in which the actor Steve Carell confronts a bank employee who admits that they (the bank she worked for) approved consumers that did not qualify for a traditional mortgage loan. Wells Fargo mentioned that they would offer down payment assistance programs to attract potential buyers and then approve them with higher than normal payments. The practices that Wells Fargo and Bank of America participated in have been going on for decades with minorities. In “The Autobiography Of Malcolm X,” Malcolm explains how his father purchased a home for their family to live in Michigan. This home was priced well above market value but only to blacks. The local banks in town knew that the property was priced over the market value based on the local comparable properties. Even with the bank knowing of this, they still moved forward with the approval process. This process is also known as “Equity Stripping.” In this process, the borrower gets the loan from the bank but starts off in a non-equity position. Equity is the value of the property or asset. So, in this process, the borrower begins the loan without equity and pays a higher interest rate to the bank as the bank makes profit on the interest. For example: the consumer buys a home valued at $100,000 but signs off on a loan at $110,000. If the loan defaults, meaning non-payment, the asset is seized and sold back to the bank. But, since the loan is over valued, there is still a balance of $10,000 to pay and as payments are made, there is no home. So, the consumer is simply making payments because of the contract and at the end of the contract, will not own the previous home or asset. You are probably thinking, “Why would a bank do that?” The answer is simple actually. Some banks would do this to make money on the interest accrued in the monthly payments. But wait, if many banks do this, they will have many defaulted loans because of the high payments consumers are making or technically not paying right? Absolutely! We call that the year 2008 because that’s exactly what happened! Do what majority of White home owners do. They ask questions and educate themselves on the process of loans, interest rates, and mortgages. First, I would like to say that many other races have great credit, but based on my experience, more white people have better credit than other races. This comes from education from the parents or the research done prior to the purchase. Many minorities lack the proper financial education when it comes to these topics. I have seen many minorities myself look for loan approvals with below average credit scores. Some minorities confuse being approved with good credit. Remember, banks make more profit on Sub-Prime lending because these consumers don’t ask questions, are uneducated on interest rates and etc. This then leads to a generation of repeated outcomes on the family. As you read this, do your best not to become defensive. I have met many people who have great credit and great interest rates. But, the list is much shorter once I ask them how many people they have showed how to accomplish the same. Get Good Credit. Unfortunately, you can’t get approved for a loan without decent credit. Of course, bad credit will result in a high interest rate, and if that loan is not refinanced once the score rises, than the consumer will likely pay more or double the amount owed. 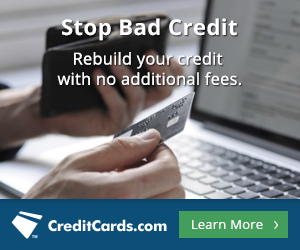 With good credit or scores 720 and higher, you will have access to lower interest rates and better loan terms. 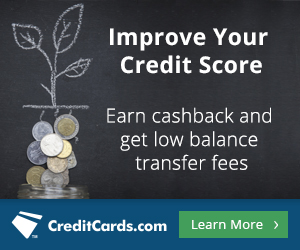 Be sure to ask questions like, “What type of interest rates do you offer for this score?” or “Do you offer any interest rate discounts?” or “How can I get a lower rate?” With GoSimplyPro, you can get the right game plan for you to start seeing an increase in your credit score within a month! Understand Rate Shopping. With rate shopping, you can have your credit ran as many times as you please within a 30 day period but only with auto, mortgage, and student loan shopping. For example: If you are looking for the best interest rate with an auto loan, but you would like to stop by a few dealerships and let them run your credit, then you can allow them to do so and your credit score be affected as if one dealership ran it. This gets a little confusing as every dealership will show on your credit report but this is only for record keeping on your credit report so you know who ran your credit. The problem is when consumers go to multiple dealerships well after 30 days from the first dealership running the same report. This will result in multiple inquiries and reduce the credit score. Also, most mortgages are FHA Loans meaning that the consumer will get the market rate and this rate is the same for everyone and every bank as long as they get approved for the FHA Loan. Where the bank or lender can make a difference is by offering a discounted rate based on many factors outside of credit like opening an account or a bigger down payment. Help Those Less Educated On These Topics. I don’t have to explain this one. In short, help people by telling them facts about interest rates, loans, and etc. People don’t know what they don’t know and it costs us nothing to share free knowledge. If you need help doing that, just share this article lol. I hope you enjoyed this article and learned how wells fargo and bank of america stole millions from minorities. Part one is reading this article, but part two takes action and sharing this with you like. It costs you nothing to do so. As always, more articles on the way.